FUNDAMENTALIST CLERGY OR THE STATE, THE CHOICE IS YOURS AT THE REFERENDUM! Now that the clergy of Kenya has declared war on the new constitution, we must brace ourselves for a titanic battle to keep this state secular. The battle may not be on the streets, but it will get there with time, depending on how things go in the next thirty days. For the first time ever in the history of Kenya, some Christian preachers have chosen to take the moral high ground and delve in a matter that is purely secular to take on the entire political system head on. Their mission is specific. They have vowed to scuttle the new constitution that Kenyans have died and sacrificed for, for the last thirty years just because this new document provides for minority Muslims to enjoy certain cultural and religious rights. The other falsehood they are peddling to derail the constitution is the clause that explicitly prohibits abortion except in cases where the life of the mother of the unborn child is in grave danger. To them, that exception is an authority for anybody who wants to terminate a pregnancy to do so. These pastors claim to be talking for millions of their followers. They even claim that when they talk, the entire 20 million of their flock will obey their voices. In other words, to these priests we are not human beings with brains but a mere flock of sheep that cannot find our way out of the wilderness unless some pastor tells us what to do. In matters of religion or any body of knowledge, science and technology have simplified matters for believers and non believers of the 21 century. In this day and age, any information I want is all the times at my fingertips, on my computer. I therefore chose to consult Wikipedia and my good old Webster dictionary to be educated on the meaning of the Church. I wanted to know who or what the church really is; whether it is the clergy, the congregation or both. And if either, who had control over the other. In other words, between me and my pastor, who depends on whom for a living or the survival of that particular church? In my trying to understand the meaning of the church, Wikipedia informed me that the Christian Church which in Greek means a thing belonging to the Lord or an assembly in Latin is actually used to describe an association of people of faith and their place of worship. 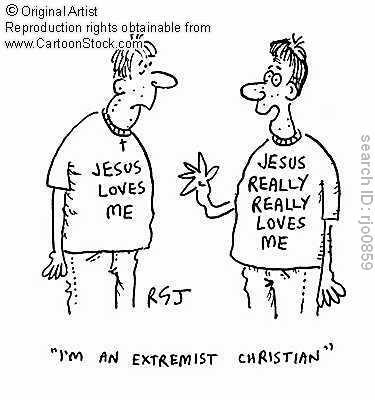 And the world is full of such associations or assemblies that call themselves the body of Christ. In the New Testament, the term church or assembly is used to mean a local community of worshipers and in a universal sense it means all believers in Christ. The first reference to the term church is found in the gospel according to St.Mathew16:18, where Jesus is quoted to have said to Simon Peter "... and upon this rock I will build my church". With this pronouncement, Christ inaugurated a faith-based entity that has evolved into what we now know as the church, the House of the Lord, the Lord’s congregation or the whole body of the faithful of Christ. If this is the case then, what authority do these pastors, mere believers just like the congregation have over their so called voting flock? At what point did Jesus Christ give explicit powers to our pastors to have absolute authority over us? What constitutes a church in the minds of our latter day men of cloth? Is it the building, place of worship or the congregation? Assuming that they were anointed by the founder of the Christian church to guide us on matters that are secular in our lives like the constitution, have they consulted us ordinary believers before taking a stand on such an important issue? When they decide to be confrontational in local politics, are they doing so on our behalf or on their behalf? Has the Christian pastor in this country faithfully followed the teachings of Christ or does he have a version of the Bible of his own that serves his vested interests? Now that pastors have declared war against this constitution, will the men of cloth manage the volatile political campaign that this country is known for? If violence breaks out in churches and mosques, will we still look up to the clergy to calm things down? If they start preaching hatred against the Committee of Experts and institutions of government in their pulpits throughout the country for the next thirty days, what will stop Muslim clerics from preaching against Christians in mosques all over the country? Are these pastors advertently stoking the fires of civil strife in this country? As a good Christian that I am, this is the first time I must differ with my pastor and tell him to his face that he is wrong and that I will this time follow my conscience. I will vote yes for my country’s new constitution. Hagan had been in a full-time work-release programme since March 1992 that allowed him to live at home with his family in Brooklyn five days a week and report to the prison just two days. Last month, Hagan pleaded his case for freedom. He had been before that body 14 other times since 1984. Each time, he was rejected. Hagan was no ordinary prisoner. 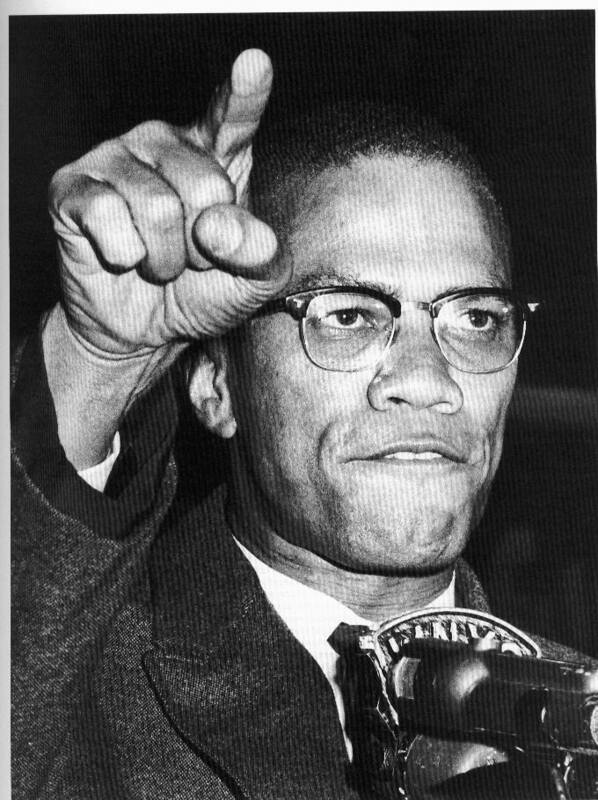 He is the only man to have confessed in the killing of Malcolm X, who was gunned down while giving a speech in New York’s Audubon Ballroom in 1965. “I have deep regrets about my participation in that,” he told the parole board on March 3, according to a transcript. But at the end of his life, he changed his views toward whites and discarded the Nation of Islam’s ideology in favour of orthodox Islam. In doing so, he feared for his own life from within the Nation. Last week, Kenya's Mcdonald Mariga helped take Inter Milan to the top of Italy’s Serie A league with a 35th minute tap-in for his side. It was his first goal at Inter. However, Mariga’s fortunes also raise another issue. Why do Eastern Africans (Kenyans, Ethiopians, Eritreans) so comprehensively dominate middle and long distances, but are hopeless at soccer? Apart from Mariga, no Eastern African plays for any top European team (in fact there is none even waiting on a reserve bench). It doesn’t make sense because busy footballers, like Chelsea’s Frank Lampard, cover the most distance in a football game — about 17 kilometres. The distance Lampard will have run in a whole game, is the point at which someone like Paul Tergat or Haile Gebrselassie will be ending his warm-up in a marathon. West, South and North Africans, on the other hand (with the occasional exception of Morocco), cannot run long distances. One thing they do, though, is that they can play football and the sprints. In most West African countries, a Mariga would not make the news the way he does in Kenya. That is because Europe has a different problem with West African players — there are too many of them in their clubs. So why is there this difference between Eastern Africa and the rest of other regions in the continent? I got an idea a few days ago while reading an article in The Economist magazine. The article asked if the food people eat could, somehow, lead them to be more desirous of democracy. The question was in respect of Damascus, which, for decades, has been ruled with an iron fist by the Assad family. Now, The Economist reported, the country was opening up to the world, and there were many new foreign restaurants in the capital. It suggested that going out to eat opens the mind in ways that eating at home daily with the same wife, husband, children, and relatives doesn’t. He might have a point. My own sense is that if you go to a Chinese restaurant, surely at some point, you will want to know about China. On the other hand, the only question you can ask at dinner at home is whether the potatoes were bought from Hawkers Market in Parklands or City Market. That is a very limited horizon. Immediately, I could see that one big difference between Eastern and West Africa is food. To be honest, the food in Eastern Africa is boring, the exception being Ethiopia. However, delightful as Ethiopian food is, it’s nevertheless still narrow in range. West African food is varied and frighteningly peppery. You can’t let it linger on the tongue, nor can a child eat it playfully at leisure. It has to be swallowed quickly, and the burning tongue soothed with palm wine. That is why Eastern Africans are not palm wine people. Our food doesn’t require it. The fiery burst of hot food and the whole urgent way it is eaten is very much how a sprinter approaches a race or an excellent striker makes goals. This is totally unscientific, and please don’t repeat it to the children at home; Eastern Africans are lousy footballers and sprinters because their food is not fiery. Which brings us to Mariga. What this man is doing could upset the balance of power in Africa. How, you might ask. First, Eastern Africa is turning out to be the most technology adaptive region in Africa. Think M-Pesa. And, in an act that raised the game extremely high, the other day, a Ugandan chap called Fredrick Balaggade invented a miniaturised plastic chip that mimics the behaviour of living cells. That is some world-class beating stuff. Then, depending on the figures you look at, somewhere between 2030 and 2050, about 60 per cent of Africans will be living in Eastern Africa, thanks to the fertile wombs of our women and our rich soils. Add to that the fact that outside of South Africa, no region beats Eastern Africa in tinkering with alternative energy — solar, wind power — than Eastern Africa. Credit to Ethiopia and Kenya on this one. The only thing we are still far from cracking is top league football. If Mariga can continue to score goals, more Eastern African children will want to be as famous and as rich as him, and so will take to the field to practise. So the future of his family, his home district, Kenya, and Eastern Africa are all now in Mariga’s legs. And apart from the peppery food, add on the music. Ever listened to typical West African music? Fast, and a one-two-three beat. Our East African music tends to be the complete four tone beat that is easily predictable, and maybe that is why our football moves get known quite easily by the opponents from West Africa who beat us in the game. There is also the issue of monkey meat at play. Don't forget oh! Well Mariga and Co. just made it into the CL cup finals..I guess we will all be support Inter Milan come May. More play time for Mariga Jose! Its sometimes said i'm daft. This article proves it. I did't get how food/eating quickly contributes to ability to play football game. And now they have gone into the Champions League finals. The stars Obbo the stars we are aiming now. Mariga, a few chillis, some palm wine and you never know. it´s all in the genetics,east africans are by large a slender race.the fulani who came from east african higlands are not good footballers,and the good sprinters and footballers in east africa are still western rift valley bantus and nilotes. 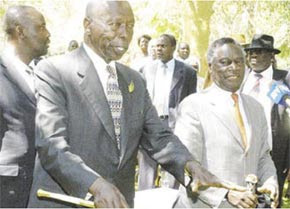 It has been a long and difficult road to the Proposed Constitution. It must not be a wasted journey if, in an attempt to by-pass legitimate concerns, we do not get a document supported by all Kenyans. Such is the pressure for the proposed document to be sealed, signed and delivered in a referendum that the need to ensure it is based on consensus has all but been forgotten. I abstained in the 2005 referendum because I believed the manner in which the then draft was put forward was deeply flawed and could divide the country. I fear now that the handling of the latest phase of preparing the current draft is causing unnecessary division and disharmony. Many of those pushing for a “ratify now, change later” approach are ignoring the legitimate concerns of some people regarding certain clauses in the draft, whilst being less than honest in their real strategy – to ensure that once the constitution is ratified, further changes will be unlikely. This may be a successful short-term strategy to ensure rapid ratification, but it could create a running sore in the body-politic, resulting in years of dispute. Some of those saying “No”, or “change now, then ratify” however, are equally being unclear in their approach. They have yet to articulate in detail their objections and the alternatives they propose. They must do so. Both sides are courting disharmony and there is no need for it. Broad support based on consensus is needed if the new constitution is to be successful in the long term. Some of the concerns raised by the proposed constitution were expressed in Parliament, but it failed to marshal the two thirds majority needed to effect amendments, or indeed, to even raise a quorum to put matters to a vote. The draft was technically passed in Parliament, but not with unanimity. Some issues were left unresolved. But what options do those with genuine concerns about the draft have now? And how can we move forward peacefully and in a spirit of unity? Fortunately, there is a solution provided in the proposed constitution itself in which the “Yeahs” and the “Nays” can be accommodated, ensuring the ultimate success of the new constitution. Chapter 16 deals with amendment of the constitution and in particular, under Article 257, how an amendment can be initiated through a ‘‘popular initiative signed by at least one million registered voters’’ and formulated into a Bill by its promoters. Could this then - the use of the ‘‘popular initiative’’ - be the best way to resolve the remaining issues and to unify the country behind the new constitutional settlement? Action could be taken now by those seeking amendments to guarantee that the issue is not swept under the carpet. Those opposing the draft should identify those clauses that give them the greatest cause for concern and clearly articulate the amendments they seek. That done, they can then prepare a memorandum as the basis for the collection of one million signatures. It is both practical and appropriate that for the long-term peace, harmony and unity of our nation, we should let the people resolve these troublesome issues. I believe the draft provides the means of doing so. Let us complete the journey together. Mr Biwott is a former Cabinet minister. I hope the church leaders will listen to the voice of reason..Church leaders must approach this issue with an open heart and a recognizable, genuine will for a solution. They must crack open their encrusted shell of ideology built up over years and slowly melting away traditional prejudices. On the surface, Biwott's solution seems reasonable. The truth, however, is that on the issues the NO proponents stand on, Kadhi courts, abortion, land regulation and majimbo, the issues were exhaustively debated, voted on and a consensus arrived at, which is the current draft. As a democratic society, the losers must accept and obey the new law because, as @werssylwer points out, actually changing the law will be difficult, as it should be, in spite of the million signatures. For big landowners, the time to sell is now. This appears to be a total solution.I hope the Church will listen to your advice. Mr. Total Man, I was also leaning towards the idea of collecting a million signatures but am informed that after collection of the signatures, those very clauses will again be subjected to another referendum which to me is absolute waste of time and money. Iread a comment under another article where someone said to change this law after the referendum will require a revolution and I believe him if making changes has been designed in a way that its impossible to achieve. This has led to hardening of positions on both sides.